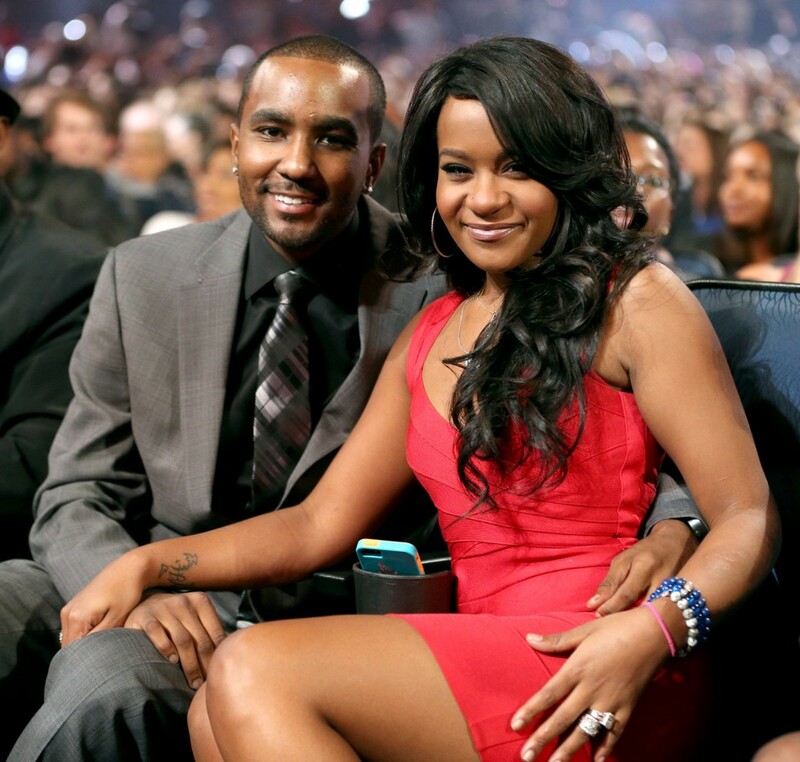 *Is Whitney Houston’s daughter Bobbi Kristina Brown really a married woman? She hasn’t confirmed the nuptials beyond that. 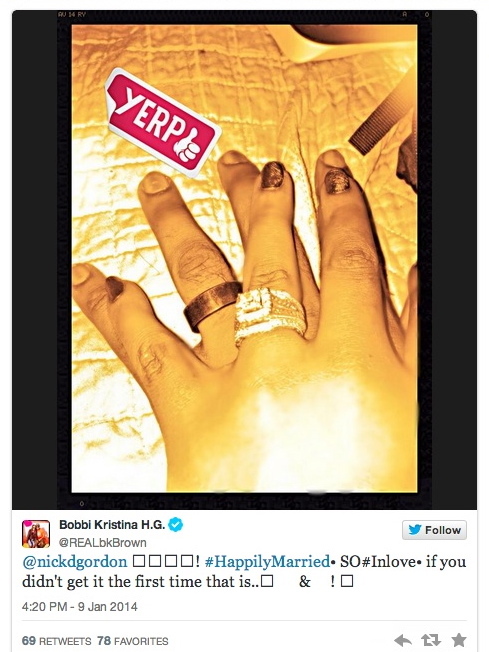 So three years ago, when Krissy, at age 18, first told the world she was engaged to him, fans and family members did not approve. Grandma Cissy Houston wasn’t on board and Pat, Whitney’s sister-in-law and manager, said it was “unacceptable” at the time. Now, she promises, “BIIGGG things” are in store for 2014. AWw! Look at the rings that she bought!